Commercial refrigeration maintenance usually isn’t at the top of most restaurant and grocery store managers’ to-do lists, but it should be. If you run a business that makes use of commercial refrigeration equipment, it’s important to stay on top of maintenance. Failing to do so could cost your business a lot of money. When kitchen and grocery store equipment seem to be working properly, it is understandable that you may not be thinking about unexpected breakdowns, harmful mould growth and diminishing energy efficiency. Just Fridge is here to remind you that, even when refrigeration equipment seems to be cooling perfectly, regular preventive commercial refrigeration maintenance is key to continued success. If you make use of commercial refrigeration, there’s a good chance a significant portion of your business depends on it. If your refrigerators suddenly break down without warning, you could lose a lot of money in a short period of time. Customers may not visit until the refrigerator repair team completes their work; any items you store in a broken-down unit could go bad. Staying on top of maintenance saves you a lot of money in the long run. Restaurants, grocery stores and other food and beverage establishments should always take pride in the product they deliver to the customer. However, if you are not keeping your refrigeration equipment well maintained and properly-cleaned, your customers will not be receiving top quality food and beverages. Moist conditions found in refrigeration appliances like ice machines are highly vulnerable to bacteria (Salmonella, E. coli, norovirus, and botulism) and mould growth, so must be regularly cleaned to prevent it. Ensure your refrigeration equipment is safe to use – all year long – with regular preventive maintenance. Scheduling refrigerator repairs and maintenance before minor issues turn into major problems saves you money. Constantly running your machines without maintaining them limits their efficiency. Address maintenance issues consistently, however, and they’ll use less energy, saving you a lot on bills in the long run. Preventive refrigeration maintenance can find issues such as drain line clogs and loose seals, which can compromise the efficiency of your refrigeration equipment. Refrigeration equipment is an expensive investment necessary to a well-functioning establishment, so it is evident that you want it to work as long as possible. Regular preventive refrigeration maintenance is key to ensuring that your kitchen equipment and grocery store refrigerators are always clean and reliable, and you never have to worry about a breakdown ruining your business for the night, or longer. Keep drains clear and unobstructed. Just Fridge understands that this equipment is an investment. A professional maintenance team will help you protect it and your business. 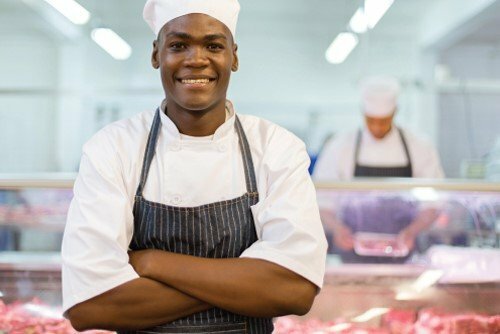 If you need commercial refrigeration equipment upkeep, contact us today to find out about the best professional service and advice.